At SNCF “techni-centers”, trains go through a rigorous process of maintenance and repair that range from a small paint job to a complex deconstruction and re-construction of an entire train engine. One such challenge was around rebuilding bogies and replacing the corresponding springs, a delicate operation that relied on very precise calculations. SNCF operates large machinery to refurbish springs that might have been in circulation for millions of miles. Once the springs have been refurbished, they need to be placed on different types of bogie chassis. 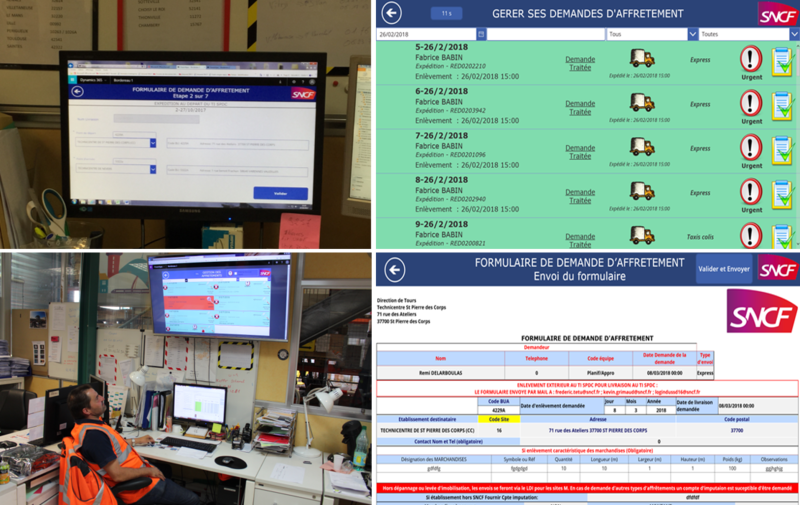 SNCF Technicenters mostly rely on pen and paper to perform and track various calculations on the factory floor. Since this was a manual process, the calculations took over 2 days and had an error rate greater than 50%. In other words, 1 in 2 bogies needed to be completely rebuilt. 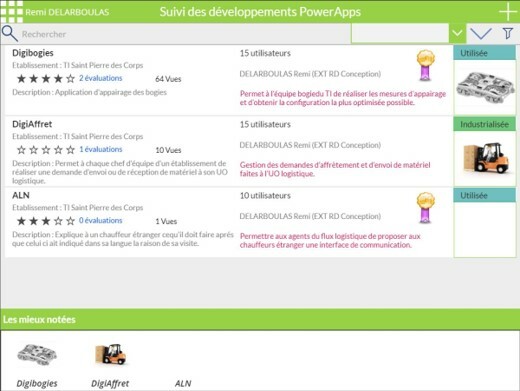 Rémi Delarboulas, a digital adviser in the digital transformation team took the initiative to build a PowerApps application called Digi Bogies. The aim was to reduce the error rate and streamline the work required to perform this operation. The result is a very intuitive user experience that culminates in the app providing a list of recommendations and guidance around optimal spring placements. 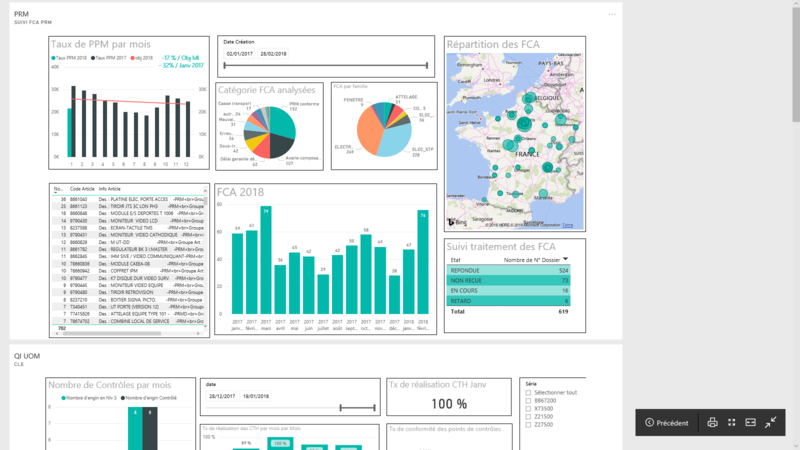 This solutions was built using PowerApps, Microsoft Flow, Power BI and SharePoint. It is currently used by 20+ workers within Remi’s factory and soon to be deployed at the national level. 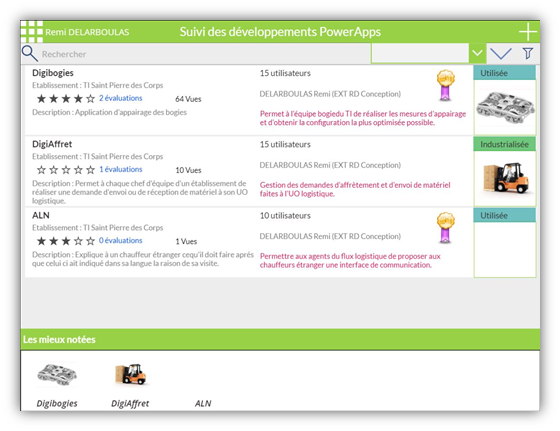 PowerApps – Factory workers use Digi Bogies to create a new project or search a list of existing active projects. Each project lists the type of chassis needing refurbishment and the current status of the project. 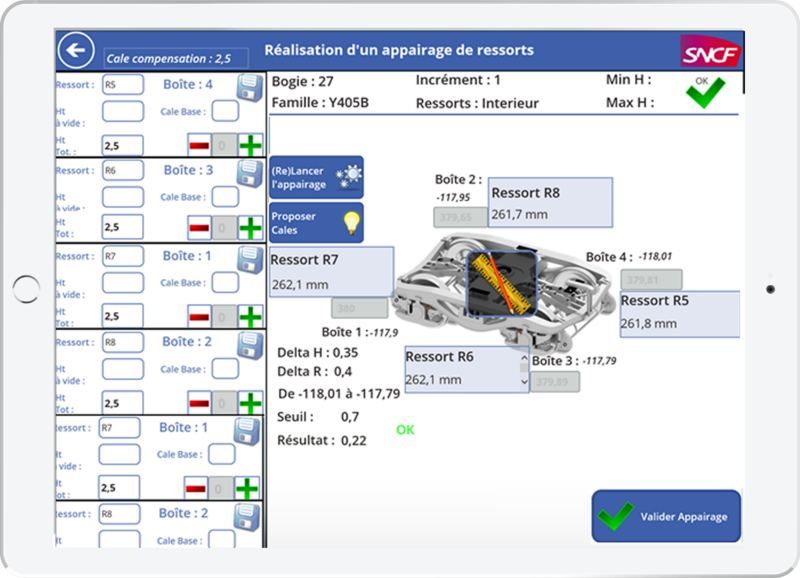 Once a bogie chassis is selected, the app provides a list of recommended springs and allows the workers to select the one they see fit. Finally, the app allows the users to validate their selection according to well established technical specifications. 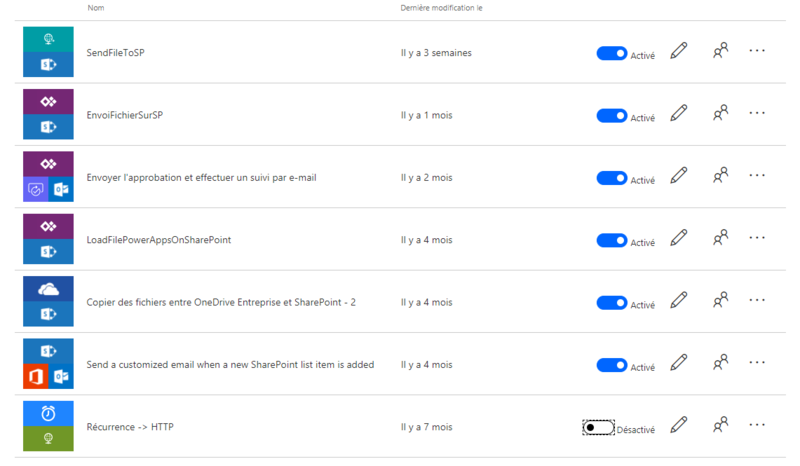 SharePoint – All of the app data is stored in SharePoint. • Spring bogie pairing error rates reduced by 40-50 %. • Saved time and streamlined the process. 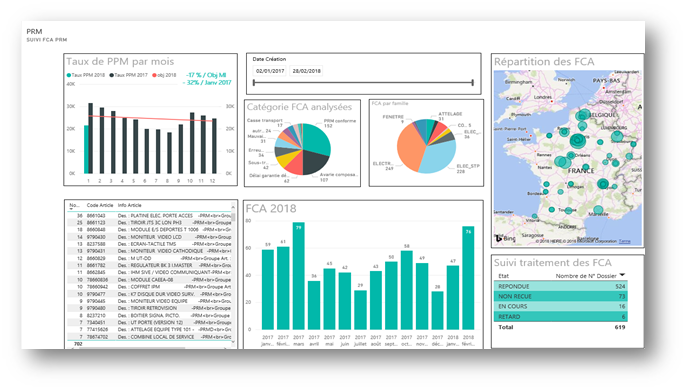 Full-spectrum use of the Power platform – with SharePoint serving as the core data repository, surrounded by PowerApps, Flows and Power BI reports and dashboards. 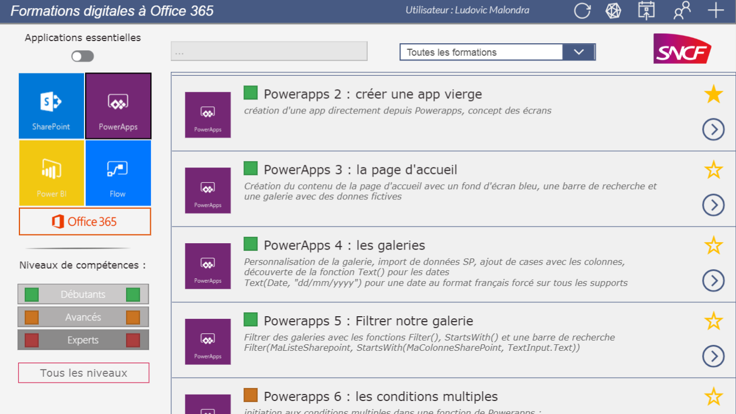 The Digi Bogie app could connect to data in SharePoint via the SharePoint connector. 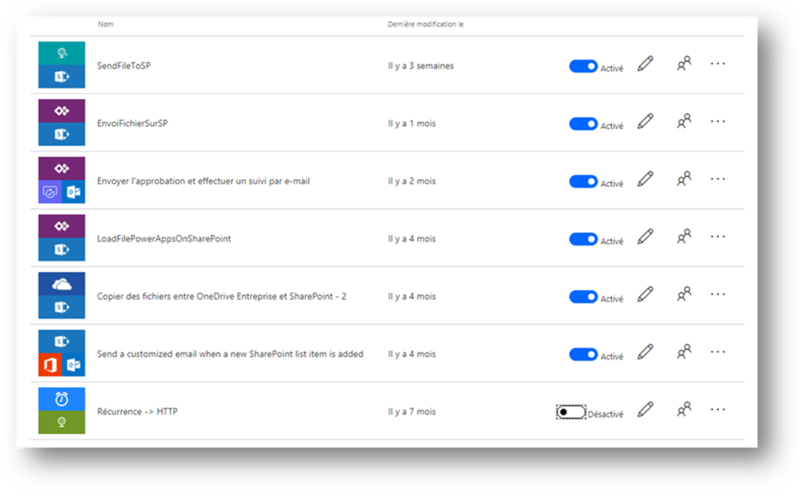 Several flows are used to send regular reminders and notification emails, such as an out of stock alert, project status, reminders. SNCF is at a tipping point in its Power platform adoption journey. 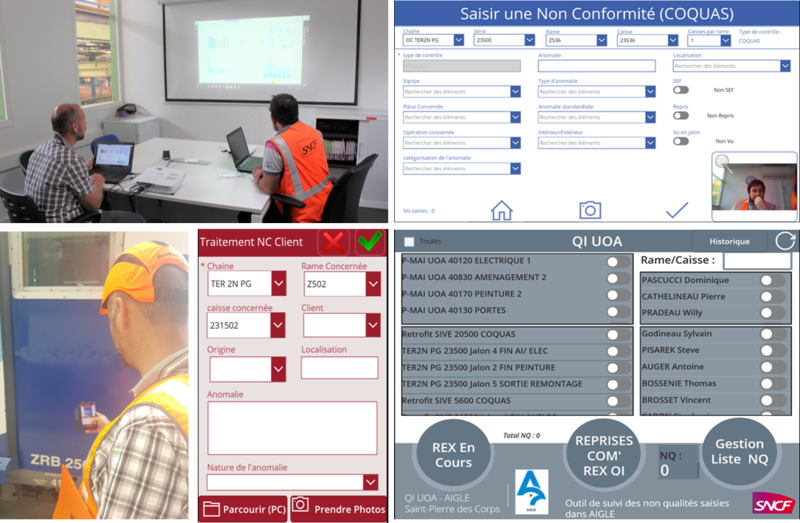 The efforts of Remi and other similar app makers has demonstrated tangible business impact and what might be possible as more employees get enabled to be app makers across SNCF. 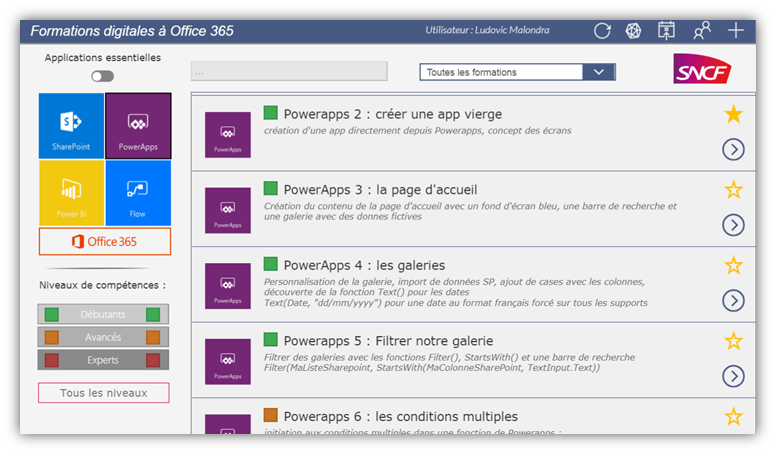 What if a program was put in place to scale up adoption of the Power platform to all 165,000 licensed Office 365 users at SNCF? What if many of them were not only app users, but trained as app makers as well to solve their own digitization needs. 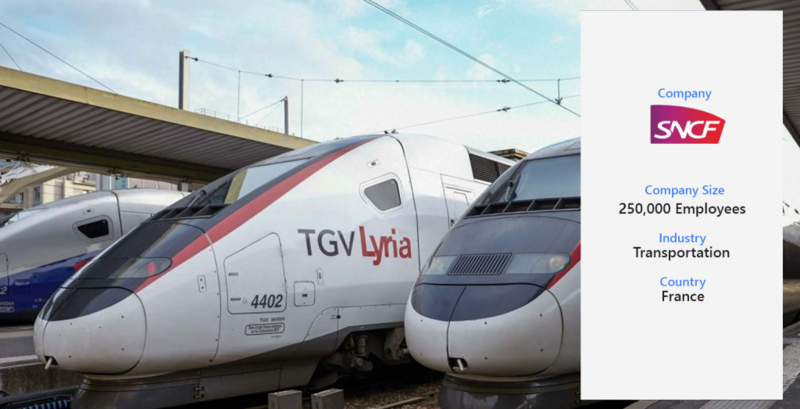 Under the leadership of SNCF’s Chief Performance Officer Henri Pidault, Ludovic Malondra is leading the effort to put together a program and structure to accomplish exactly this. 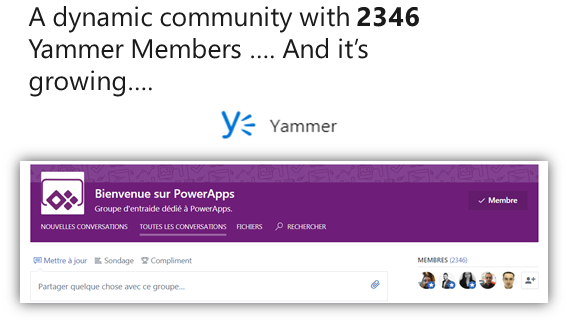 SNCF currently has an active internal Yammer community focused on PowerApps with 2500 app creators sharing ideas and best practices. While this may seem like a reasonable size community to many, for Ludovic this is a “small start”. His ambitious goal is to grow this more than 20 times in the next couple years. He is putting in place several structural pieces to make this happen – coaching programs for business units to evaluate their own needs and implement their own solutions, training programs on the Power platform, internal certifications, centralized tools for sharing ideas and avoid duplication of efforts, and more. They’re already seeing traditional timelines and expectations being significantly redefined. As Remi and Ludovic often comment, “now we have a new problem, the solutions that used to take months to deliver are now expected to ship in a few weeks.” Their goals are ambitious, but they believe it is achievable given the demonstrated year-long success of 20+ Power platform solutions in production. Read on to see screen shots from several of these solutions. 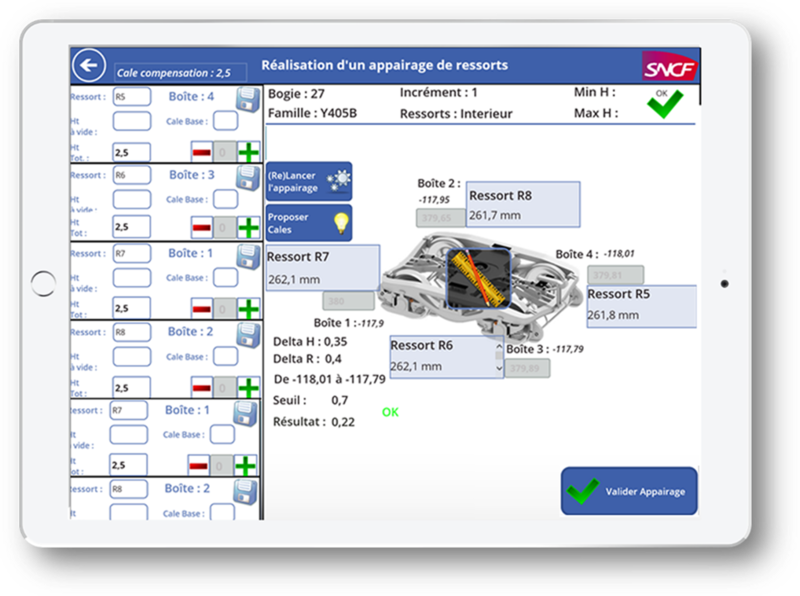 The app catalog is a currated list of the best and vetted apps used throughout SNCF. Teams accross the company can consult the catalogue and chose to re-use existing apps, custumize and enhance as they see fit. 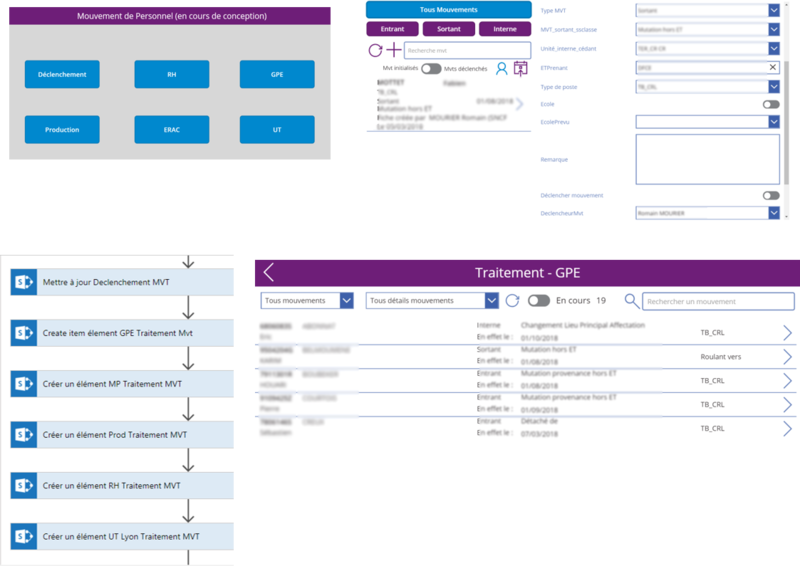 The training catalog contains a series of guided step by step learning tutorials and videos in French custumized for SNCF with various levels from beginner to expert. The following apps represent a small subset of the apps SNCF has built over last year. They fulfil a large number of business scenarios from Supply Chain Management, Field Inspections, Project Managment to Employee communication. 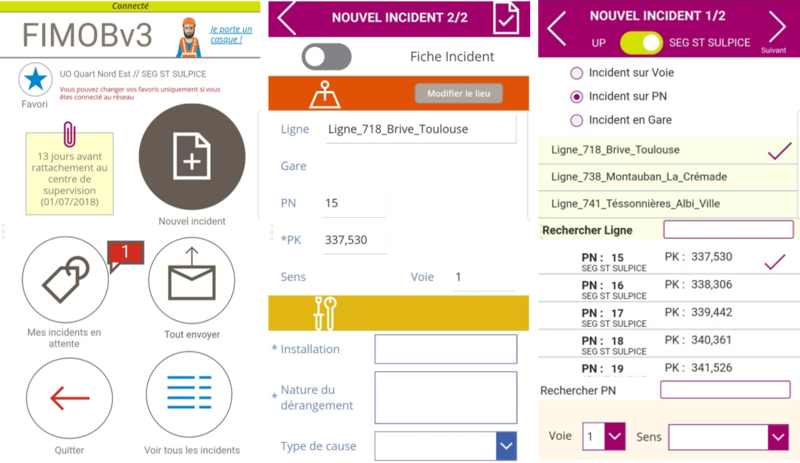 An incident reporting app used by over 100 users with a potential of 9k more users. App features a number of editable forms with offline capabilities. 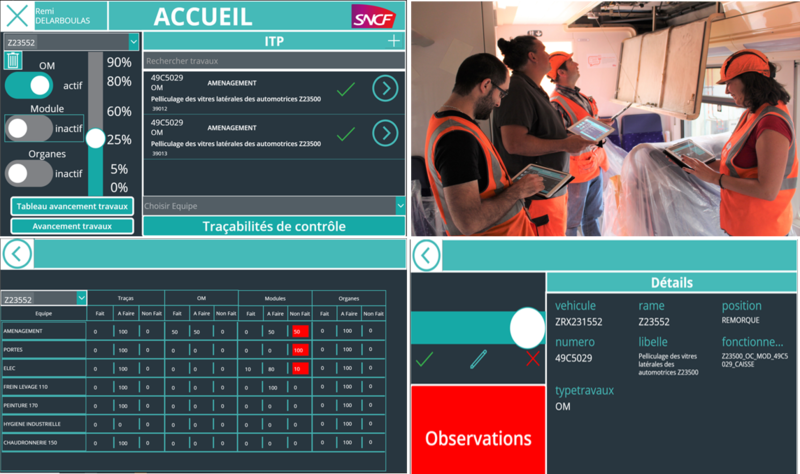 A training app for SNCF employees. It manages everything from training content, trainer information, training session..etc. Currently used by 60 users but rolling out to 10k users. 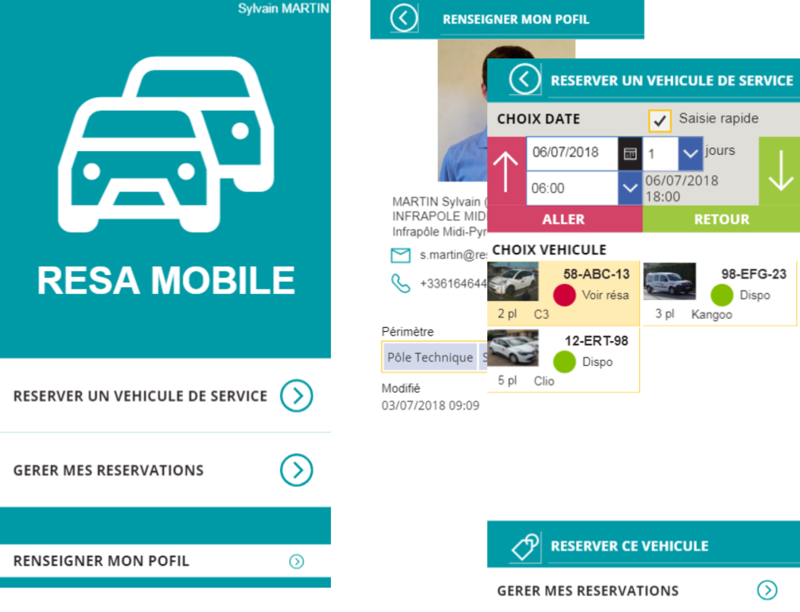 Used in one of the SNCF technical centers, this app is used to keep track of all the vehicle booking, availability and check-in/check out. Manage and store various metrics during and after the engine’s maintenance process. Supply Chain Management app used to order train replacement parts. 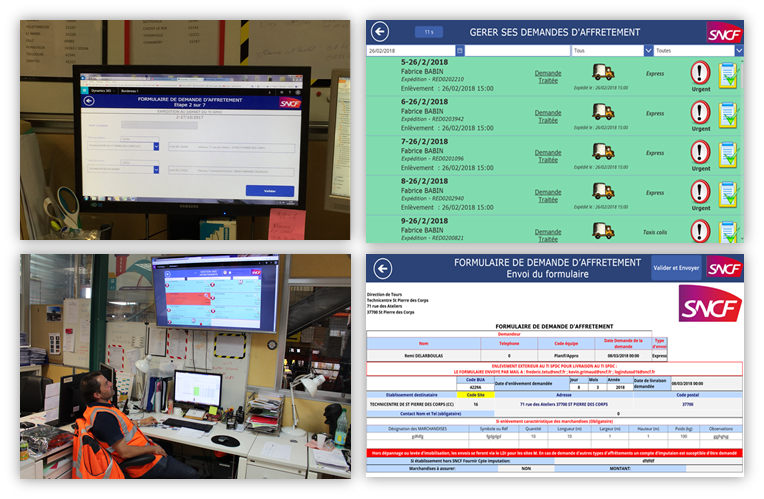 Currently used by 100 users with potential of many more accross all SNCF technical centers. Features include email notification, HTML to PDF flows and complex cascading forms. 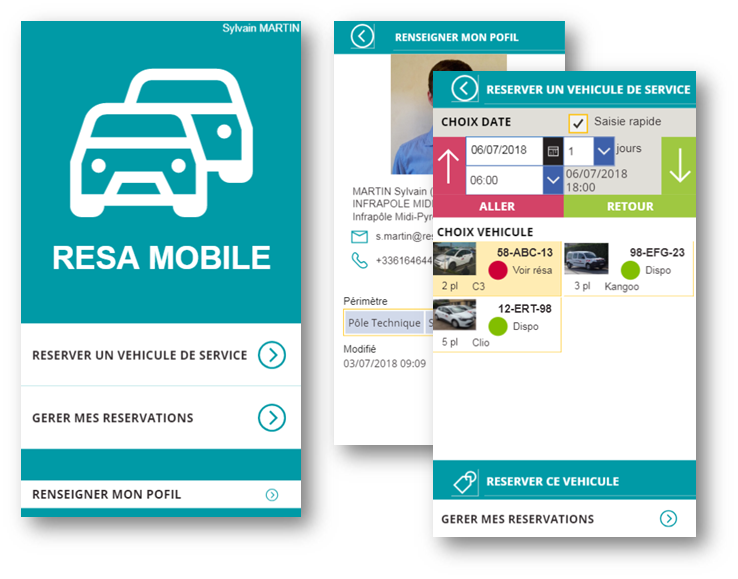 Used by international drivers coming to france to ease communication of non-french speakers. Uses Microsoft Translator, Microphone and Audio player. This app is used to check ongoing required jobs and their progress. The app is currently used by 70 users. 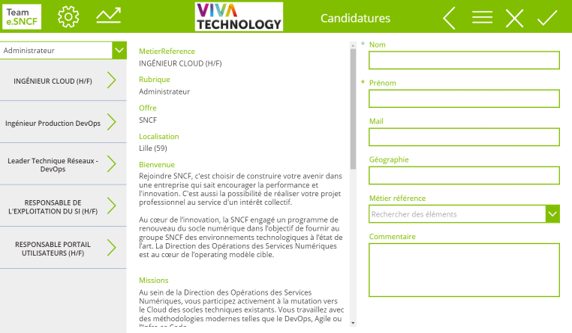 A Recruiting app used by internal candidates to apply for jobs within SNCF. 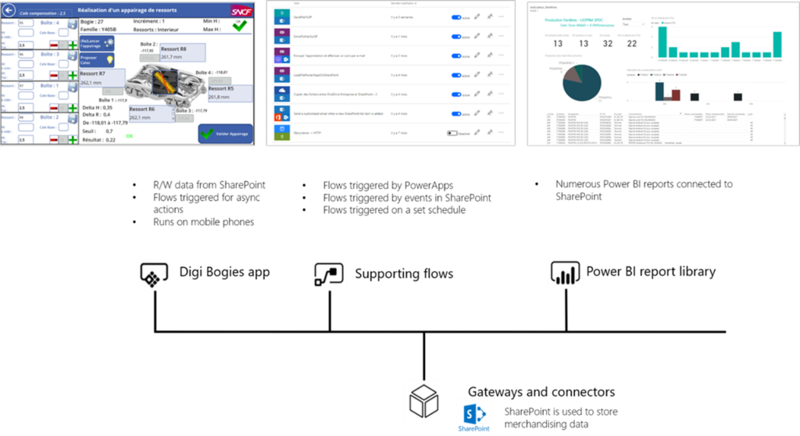 Features include SharePoint photo upload, PowerBI tiles and Microsoft Flow integration. Tracks employee movement accross the company as they change work location or job positions within SNCF.